Welcome to the start of Spring semester 2019! In the academic world, this is an interesting time of the year because while it is the kickoff of a new calendar year, it is also the start of the second half of our academic year. Therefore, it makes for an appropriate time to both look back at the first half and looking forward to the remainder of the year and beyond. 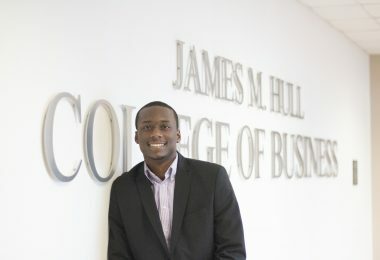 Looking back, the Fall semester was a period of change and achievement for the Hull College. We officially kicked off our new undergraduate business curriculum with concentrations in Healthcare Management, Digital Marketing, and Financial Services. While our existing curriculum was very successful in providing business career opportunities for our students, we expect our new curriculum to make our students even more competitive in the marketplace. Following recommendations from businesses, our students are now required to take courses in professional selling, project management, and complete an internship prior to graduation. 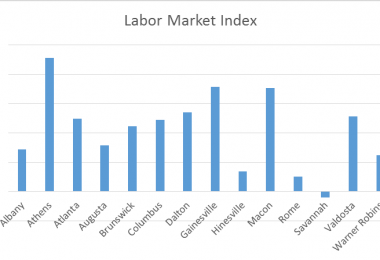 Our focused concentrations will provide more opportunities for our students in growing markets. 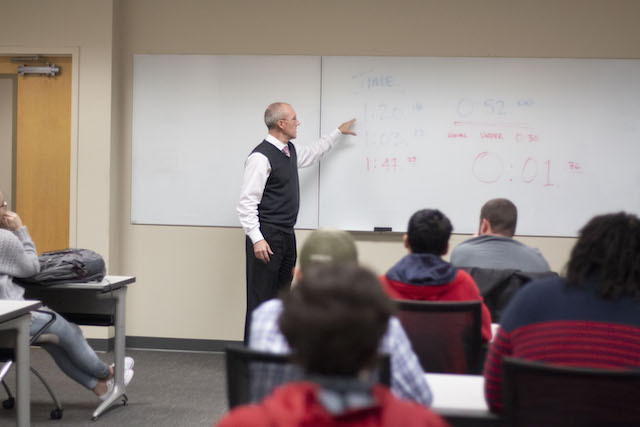 Most recently, our faculty approved an additional concentration in Economic Analysis, which will be a great option for our more quantitative-inclined students to pursue various careers in economic and financial arenas. Students engaging in experiential education activities with Dr. Mark Thompson, Associate Dean. 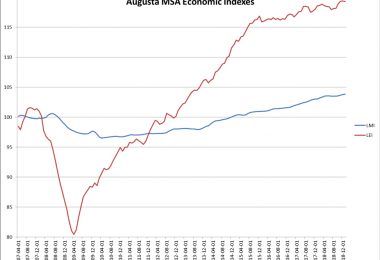 At the graduate level, the MBA program continues to grow both in quantity and quality. We have welcomed two new cohorts to our program this academic year, with the Fall cohort we reached capacity for the cohort. The talent, experience, and accomplishment of the members of the new cohorts continue to be outstanding. Our students are bringing significant work experience and a large diversity of industries to our classroom, particularly in STEM-oriented areas. This diversity enhances the MBA experience for all. 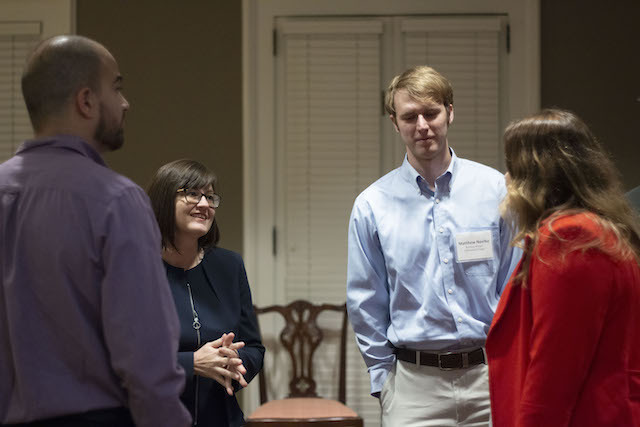 Hull College Staff, Janna More, Academic Affairs Coordinator, greeting MBA students at the new student MBA reception. Our business engagement efforts continue to grow. Each semester we add businesses to our “Business Showcase Series” program. The “Business Showcase Series” enhances knowledge about business culture, develops professional skills, and teaches students about future career opportunities. 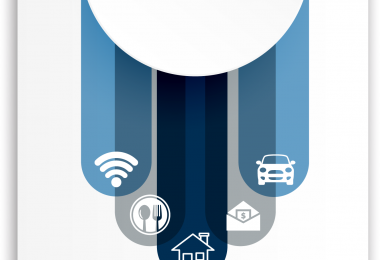 Previous businesses have included ADP, TaxSlayer, Hull Property Group, T-Mobile, and Queensborough National Bank. We look forward to welcoming Alison South Marketing Group in a few weeks. 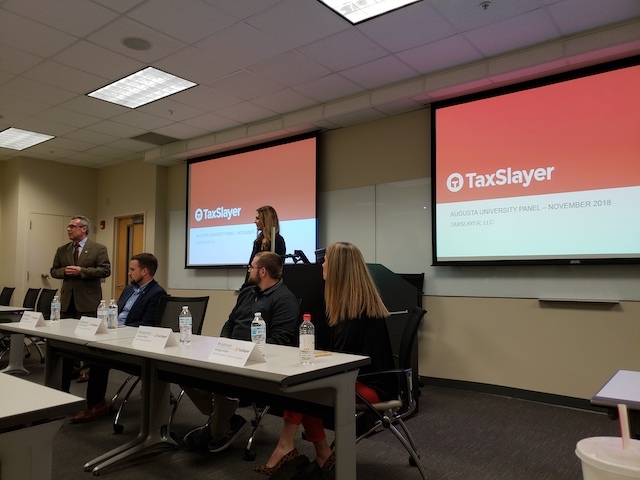 Dean Rick Franza, introducing TaxSlayer at the Business Showcase Series. We also continue to provide co-curriculum programs for a robust business education. 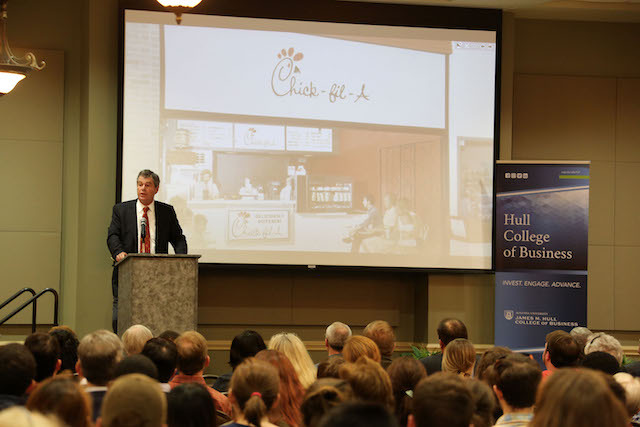 In October, as part of our annual Russell Blanchard Distinguished Lecture Series in Ethics, we were able to bring back Hull College alumnus, Erwin Reid, Senior VP for Restaurant Development at Chick-Fil-A for an outstanding talk. In April, as part of our CEO Speaker Series, Christa Pitts, co-CEO of Creatively Classic Activities and Books, the publishing company behind the best-selling Christmas classic The Elf on the Shelf®., will be our speaker. Mr. Erwin Reid addressing the audience at Russell Blanchard Distinguished Lecture Series. 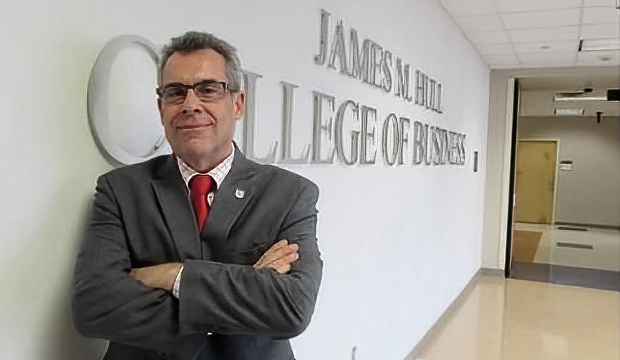 To deliver a top-quality business education and associated services to our students and the business community, the Hull College needs to continue to hire outstanding faculty and staff. We are excited to have hired two excellent new staff members, Payton Prather, our new Communications Specialist, and Jennifer Mansell, our new Career Advisor. It has been a busy year in terms of faculty hiring and soon, we hope to announce up to five new additions to our faculty who will join us in August for Academic Year 2019-2020. It’s been a great academic year so far, but right now we are only early in the second half. Like all great teams, the Hull College does not sit on its first-half laurels, so we expect an even better second half!